Glenglassaugh Distillery is located just outside of the Speyside whisky region in north-east Scotland, near the town of Portsoy and overlooking Sandend Bay. Founded in 1875 by entrepreneur James Moir, the distillery changed hands several times over the next few decades until a decline in the industry resulted in the closing of the distillery in 1907. A new distillery building was erected in 1959, and production continued in the following year until the distillery felt silent once again in 1986. 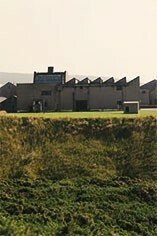 The distillery was revived to its current standard in February 2008 and was officially opened by Alex Salmond, Scotland’s First Minister, in November of that year. The first of Glenglassaugh’s new spirit flowed from the stills on the 4th December. 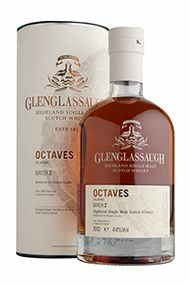 Despite its refurbishment, Glenglassaugh aims to mostly use its old equipment in the production of its whisky, creating a spirit as similar as possible to the original single malt Scotch produced before the distillery’s past closure. The distillery owns two stills, a wash still and a spirit still, and the whisky is stored in a variety of casks, including ex-wine, ex-bourbon and ex-sherry butts. 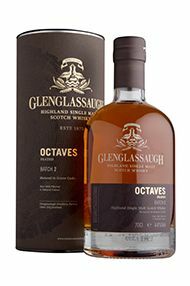 All of Glenglassaugh’s products are, unusually for a distillery, bottled on site, with their youngest whisky being bottled at a veritable 26 years of age. The range also includes a series of single cask bottlings, all of which have been aged for over 30 and 40 years respectively. The distillery uses a large variety of casks for maturing the spirit ranging from small 50 litre Octave casks, to barrels which have previously been used for maturing bourbon or wine to butts which have been used for maturing sherry or port.